Music reaches into our memories and emotions, it filters through our brains to lift us to a new state of mind. It allows us to be more … and it allows us to remember. In old churches, empty or full, there is space built to catch the echoes and harmonies of sacred music. It flows in careful patterns up the pillars, through and around the arches, on into the rafters and beyond … and it takes a part of us with it, it frees us from below. The organ in Christ Church in Naples, Italy. 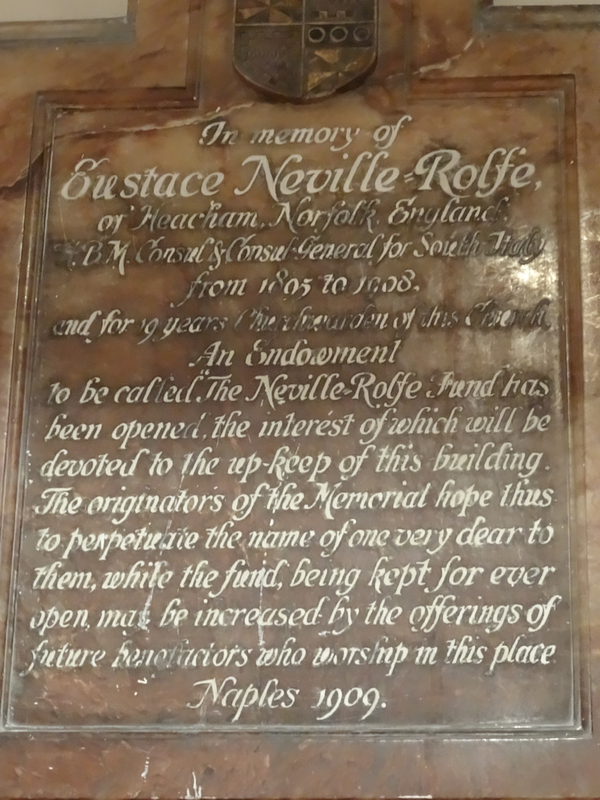 Retuned in 2016 thanks to funds given in memory of Michael Rae who loved the church and its music. Today it is harder to find such music. It’s heard in cathedrals and on grand occasions but, too often, it has faded from our routine experience of church … too often the rich, meditative music that the architects designed for is gone. But not in Naples, Italy. In that hectic port city, rooted in the great cultures of the Mediterranean, there is one place where, when I first arrived in 2014, the music was so traditional and so English that it took me by surprise – it was Christ Church in Chiaia. Christ Church, the only Anglican church in the city, is big. 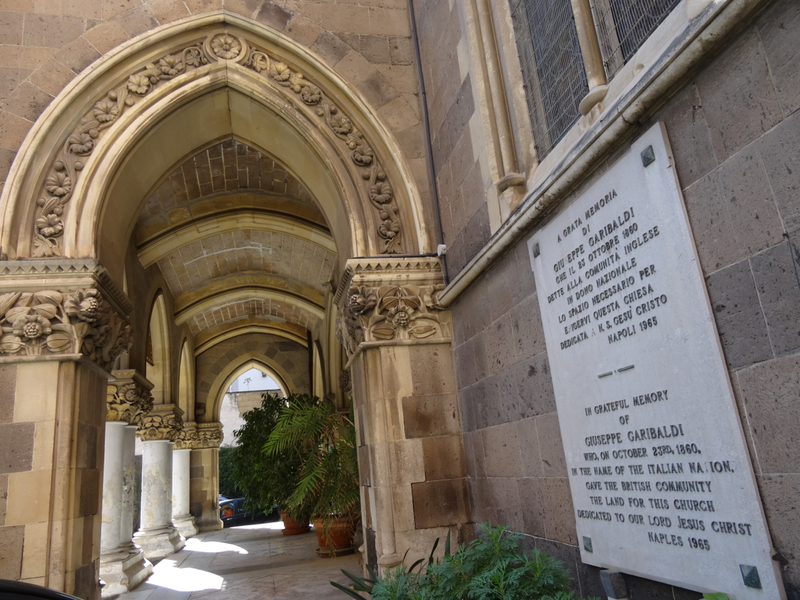 The land the church is built on was given to the British community in Naples by Garibaldi in 1860. In the century and a half since, Christ Church and its city have faced earthquakes, volcanic eruptions, epidemics, occupying troops, bombings (by both sides in the Second World War), and organised crime. Perhaps that’s why both have kept singing – they know what it takes to find the heart to stay on your feet. The wealthy neighbourhood that hosts the church is Chiaia, close to the seafront. Here the buildings stand in large impressive blocks, the modern mixed in amongst the old. Christ Church, when you find it, is quite a surprise. It’s a large neo-Gothic structure squashed behind green railings, a little like an awkward child in the wrong play park … although it’s now been there so long that any hard feelings seem to have vanished. 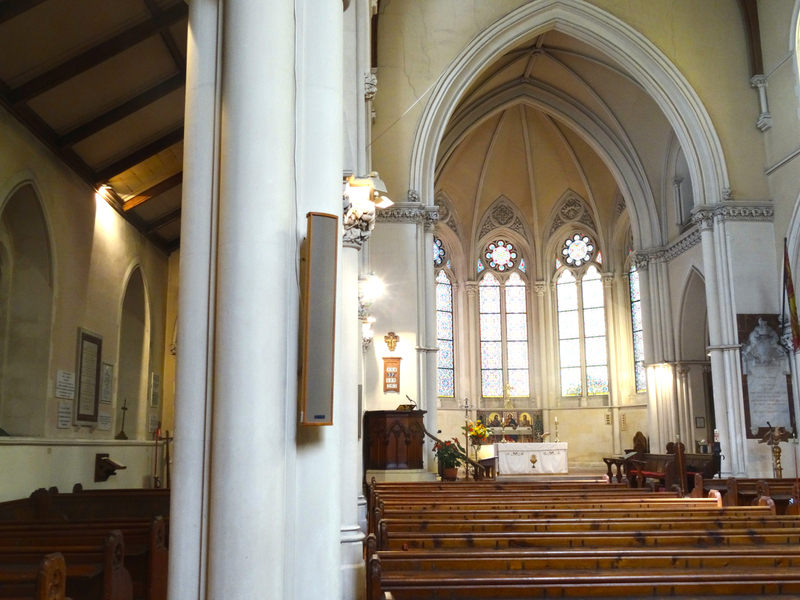 Today it serves as a church and meeting-place for the English speaking community in Naples, much as it has done since the time of Queen Victoria and the unification of Italy. It has remained constant over the years while world events, the priests and their congregations have all come and gone. 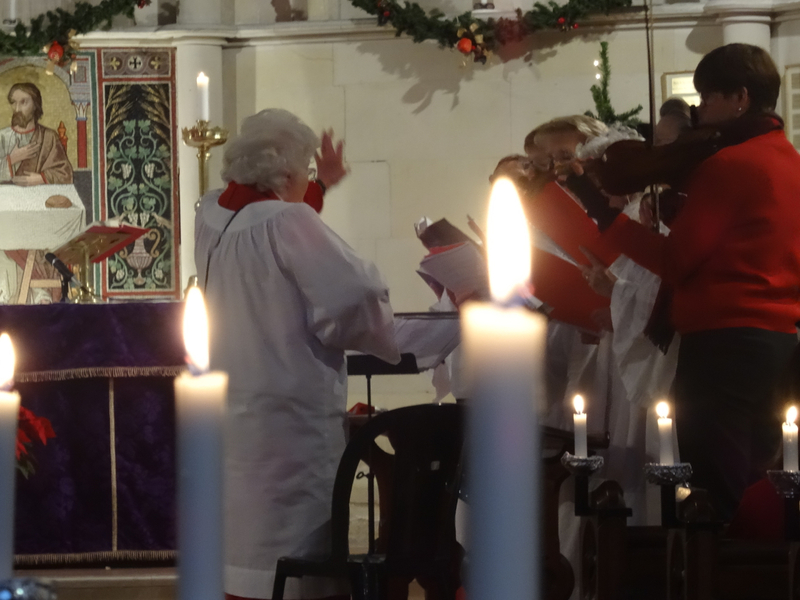 Another constant has been the church’s choral music which continues despite the dwindling British and Commonwealth community. Those who sing still have the combined knowledge to be able to perform the music of the traditional Anglican church … music that I did not expect to hear in Naples. Why is this music still there? It’s thanks to the determined choir whose members have lived in Naples for decades. Although no longer as young as they once were they still cross the densely-packed city each Sunday to sing together, and to be together. The choir mistress is Jeanette Taylor Sciurba. Originally from New Zealand, and once a professional opera singer, her knowledge and love of music mean that standards are high and the members, despite their own difficulties, continue to give of their best. 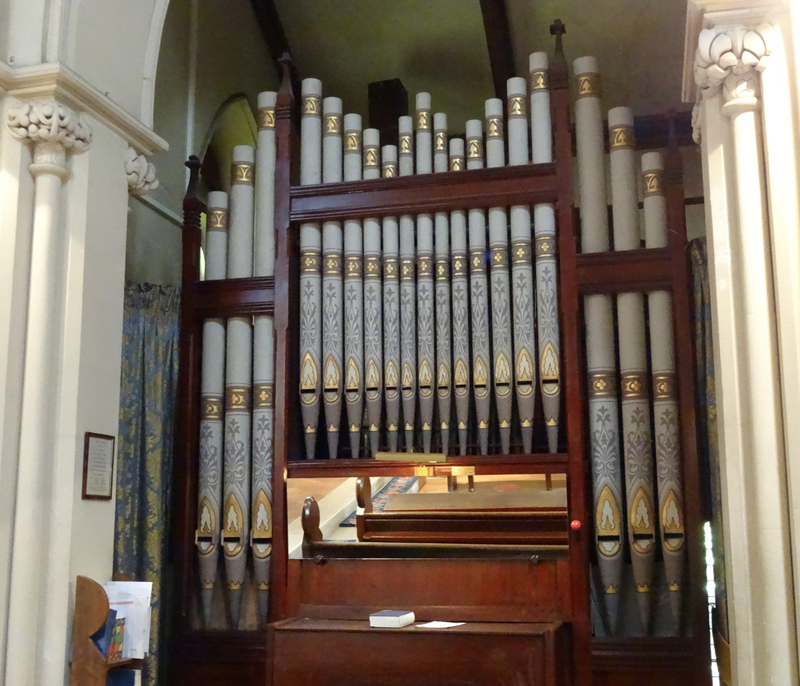 All of them, and the organ, are happiest when the choir stalls are packed but such is their commitment that, whatever the numbers, all are reluctant to drop the fragile flame of the music they have given so much to protect. Sadly I know that now this choir too is in difficulty, and that it struggles to find the support it needs to continue with the music it loves. I hope that it does find the help, and that, from somewhere within Naples, new members can be found to boost the volume of the sound they strive for. It is hard to imagine Christ Church without its choir – they have stood side by side always, the one strengthening the roots of the other. They belong together … so much so in fact that I think even old, cultured Chiaia itself might miss the spectacle of their praise. If you would like to hear this choir, please contact the church in advance to check which Sundays it will be present. Recently its role has been restricted to one Sunday a month. 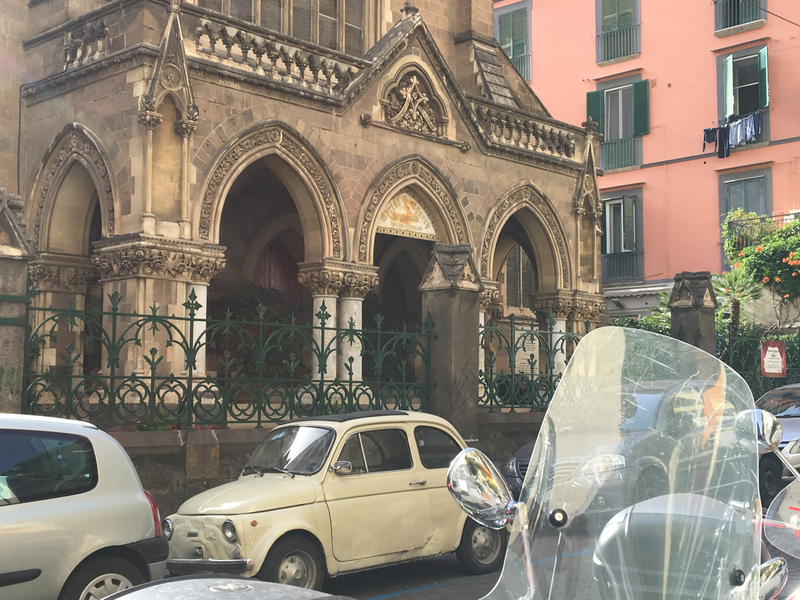 This entry was posted in Italy, Music in Naples, Naples and tagged Anglican church music, Chiaia, choir, Christ Church, Garibaldi, Italy, Naples. Bookmark the permalink. Thank you for your beautiful comments. 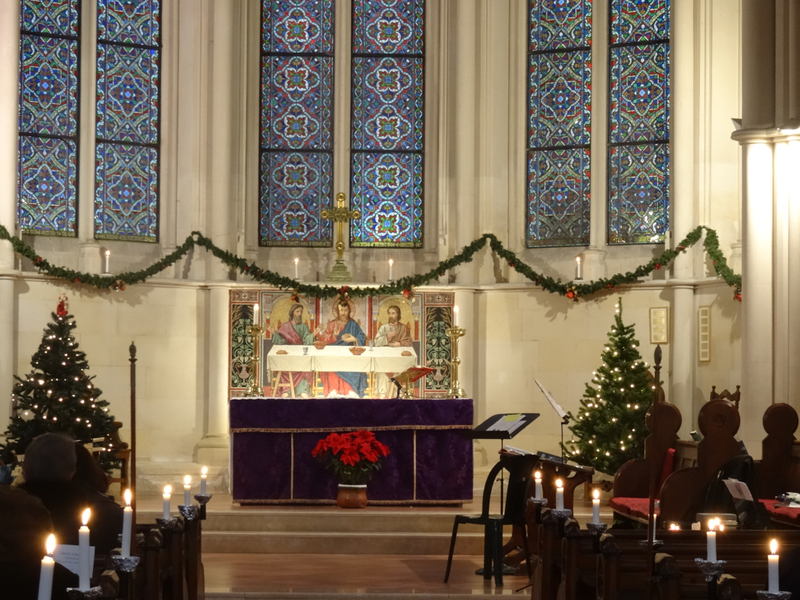 It will be much appreciated by all who worship at Christ Church. Beautiful and charming to look deeper into this church. God bless! I would like to hear them, thank you for the contact numbers. Oh joy, I won’t need to stumble through my request in my broken Italian. Hope you do manage to hear them … enjoy! Such an interesting church as well. Outside the church around the back there is a poignant ‘news flash’ on a plaque in memory of young couple murdered at Paestum many years ago. Thanks so much for your interest.